This style of tag is called a window tag. 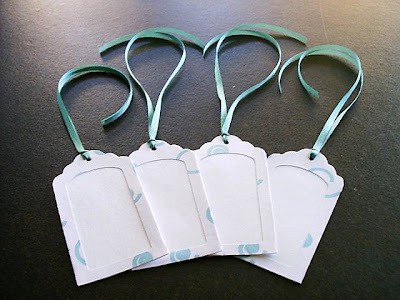 The back and front are one piece of scrapbook paper that is wrapped around the same shape tag made of cardstock. I just listed these on Etsy today. I will be making more soon. If you have a request for a different color or shape of tag, feel free to convo me on Etsy or email. Both links are under the Tag Sizes article. These are stamps I have available for the tags. You can choose to have the same stamp on each tag or you can use a different stamp on each tag. I love doing custom orders, thats why I have made it possible for you to choose shape, size, color, and stamp if any to your tags. This is a list of available colors. The Tags, Boxes, and Letters can be made from these colors. Black / White / Red / Blue / Yellow / Lt. Green / Lt. Yellow / Lt. Pink / Lt. Purple / Cream / Gold / Lt. Blue / Gray / Peach / Fushia / Brt. Blue / Brt. Orange / Brt. Yellow / Tan. I will be adding more colors as they become available. 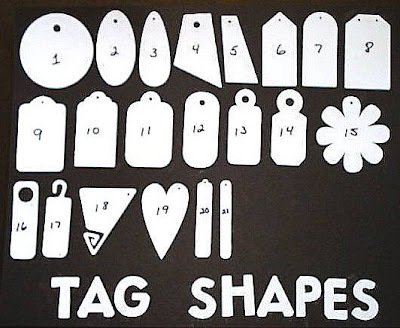 Here is a list of the available shapes for the tags. 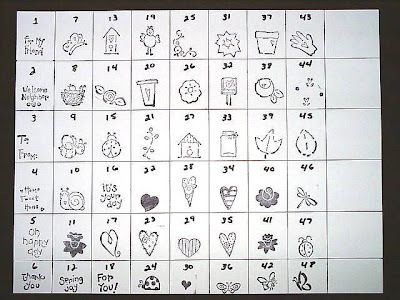 There are 21 shapes to choose from. Next, I will be posting a list of colors I have available. My tags come in 11 different sizes. They start at 1" up to 5 1/2" in length. 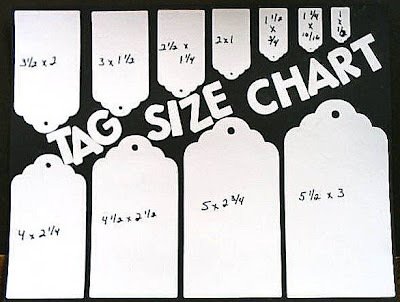 Tags are available in about 30 colors and 21 shapes. I also can add a border onto certain tags to which I will be posting alot of pictures in the near future. So if you have any questions, please convo me through etsy at http://bagstagsnmore.etsy.com/ or email me at wckypntr@verizon.net.